1. I am a quirky person and have come to accept that as a fact. 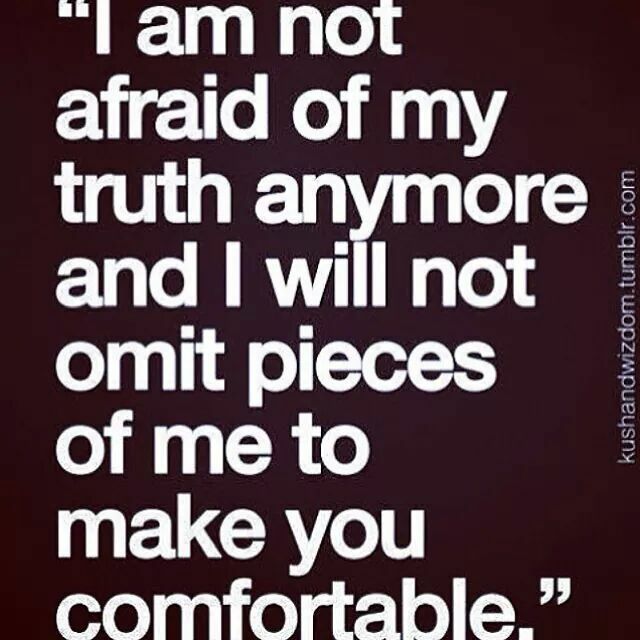 Why change what is my true self, many will not understand my “strange” ways but that will not make me change who I am. 2. I have come to realise that I will never be the cutest, funniest, sexiest, smartest, richest or even coolest person even if I sold my soul (which is something I am not even considering doing), but I have special qualities that are unique only to me. 3. I am growing old and that scares me sometimes; more especially the fact that I am way behind what my peers have accomplished. Its not a race and even if it was; the turtle won the race remember. 4. The challenges in my life will never stop me from dreaming and finding ways to make those dreams come true. 5. I am a better person today because I found someone who loves me in the same way that I love him. Love is a lifesaver. I found my strength in this twin soul of mine. He centers and grounds me. Honestly I am calmer since I met him and people have said they see the difference. 6. I believe every soul was placed on earth for a purpose. Mine might be a little fuzzy and unclear but I am doing my best to make sense and fulfil it. 7. I have touched and made a difference in at least one life. 8. Chocolate, books and music has saved me from a lot of misery. Two friends who never let me down. 9. I am forever grateful for God’s blessings in my life. Sometimes we overlook the good and dwell on all the negatives, forgetting that there is always a balance. No matter how small the blessings seem, they are actually worth a lot more than all the pain. 10. I am proud of who I am. I was raised by a strong woman who taught me that giving is much better than receiving and has led by example. Yes I am my mama’s son and nothing will ever change that. 11. I am not the strongest person in the world, yes contrary to popular belief I sometimes need a shoulder to cry on and unfortunately those are few and far between. 12. My faith in God will never wane. 14. I still believe in the goodness of humanity. Not all is lost. 15. The suffering I have seen in my travels have made me learn to appreciate the little that I have. 16. Living with a chronic condition has taught me how to appreciate every breath that I take. 17. My mistakes and wrong choices serve as lessons for the journey ahead. 18. There is nothing that can replace the beauty of a child’s smile. I live my kids with my whole heart and sometimes wish I had their innocence. 19. To me beauty is not limited to aesthetics. Beauty can ooze from within and is more attractive than what is on the surface. 20. I don’t know where this road leads, but yet I soldier on building bridges and paving ways as I go. 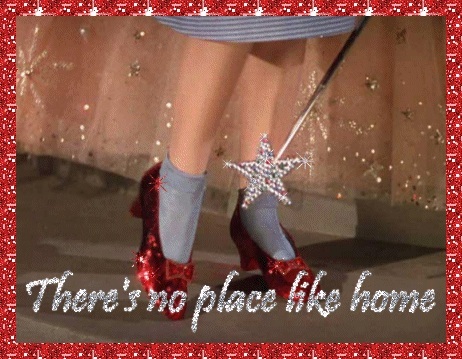 They say there is no place like home or home is where the heart is. Honestly my heart is at home and no place in the world will ever be like home. This time last year I was doing the same thing I’m doing today; looking for removal companies and quotes as I had a great move ahead of me. Because of work, I had to relocate from Duduza, Gauteng to Pietermartzburg, KwaZulu Natal. Some 410 kilometres away from all that is familiar. This was largely a decision that was influenced by job security as I’ve stated and it turned out to be one of the worst decisions I’ve ever made in my 37 years on this planet. I left behind not only my family, the comfort of knowing where what is and all my friends. I also left my love and my sense of belonging. Initially I thought I would give this “new” place six months and if it doesn’t work out I would be on the first six to seven hours bus back home. Contrary to my plan, even though this place did not “grow” on me as I expected, I decided to give it another six months. This is my 11th moth here and I just can’t stay any longer. The phone calls, text messages and monthly bus trips have not made any difference. The city itself is nothing different from the small town I grew up in, but there is something really frustrating about the pace of this place “Sleepy Hollow” comes to mind. I don’t know how I’ve survived this far, but staying any longer will be the death of me or if not, I might just lose my mind. A while back I posted about how it seems as if no one actually notices my sexuality and that is really not a problem. But I’ve realised I’m too different form the people here. The way that I dress which funny enough is understated by Johannesburg standard, my tattoo covered arms and well there is my taste in music which I find quite shocking that people here or those I’ve come into contact with really don’t get it that I listen to Pop, Rock, Electro with some RnB thrown in. I am definitely an oddity over here and it is such things that make me realise one can experience culture shock in one’s own country. Don’t ask me anything about my surroundings; I’ve come to know the city very well and can make my way around quite easy, but honestly in the 11 months that I’ve been here; I’ve actually haven’t done much more than go to work, go back to my apartment, go to the shops and hit the mall. Friends have asked me about hot spots and night life; like really is there a night life here. If I am to respond to that in all honesty I would say “it doesn’t exist, there is nothing, zilch nada”. I am a small town boy through and through, but there is a limit on how quiet a place has to be, and this just didn’t cut it. As I count down the weeks before I eventually say goodbye to “Sleepy Hollow” and go back to where my heart is, I’m noting this down; Never Stray Far From Home Unless It Is Where You Can Make a New Home.